It’s one of life’s great mysteries: Why do women carry such huge purses? One major culprit is distended makeup bags filled with forgotten tubes of lipstick, aging mascara and gloppy concealer. Fredrickson had served as digital brand manager for Ann Taylor and created digital and brand marketing strategies for Pepsi, Nike and Gap; co-founder and CCO Chelsa Crowley had done stints at Estée Lauder, Clinique and Bobbi Brown. 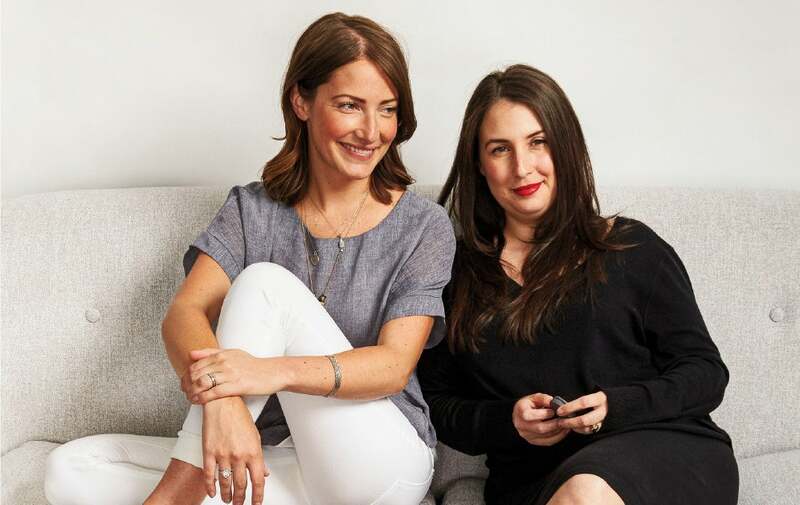 Tired of lugging their beauty burdens everywhere, the two merged their expertise in e-commerce and makeup to rethink traditional cosmetics and create a more efficient, portable line that would satisfy the needs of women on the go. Who needs heavy makeup? Chelsa Crowley, left, and Julie Fredrickson of Stowaway Cosmetics. “When we started digging into the economics of it, we found that makeup companies don’t really have an incentive to make compact sizes,” Fredrickson says. “It’s a cost-of-goods issue.” As she and Crowley learned, smaller-size makeup sold through traditional venues would cost as much to produce as bulky standard sizes but would sell for less. “No one was willing to cut into their margins,” she says. Sample sizes, meanwhile, are viewed merely as marketing tools to entice consumers to eventually upgrade. To address this, Stowaway has gone vertical, adopting a direct-to-consumer model more commonly associated with accessories and apparel brands like Warby Parker, Nasty Gal and ModCloth. By handling everything from manufacturing to distribution, Stowaway leaves room for solid margins while producing a makeup line that doesn’t weigh women down and can be used up before the product expires, with a little extra to tide customers over. “We don’t want women to feel that they’re going to run out of product,” Crowley explains. The pared-down size enables the company to do away with preservatives such as parabens and phthalates, typically used to increase shelf life. After a year, the two developed a line of “right-sized” makeup that fits comfortably inside a slim purse. The line is compliant with European Union consumer safety standards, which Fredrickson says are significantly stricter than those in the U.S. Instead of investing in heavy glass jars or gold-plated flourishes meant to connote luxury, Stowaway devised matte-gray packaging that’s lightweight and sophisticated and has a pleasant tactility. A set of basics that Fredrickson describes as the “little black dress of beauty” sells for $75; it includes BB cream, concealer, pot rouge, lipstick, eyeliner and mascara.